We track millions of social media posts and use machine learning to determine sentiment of cryptocurrencies. 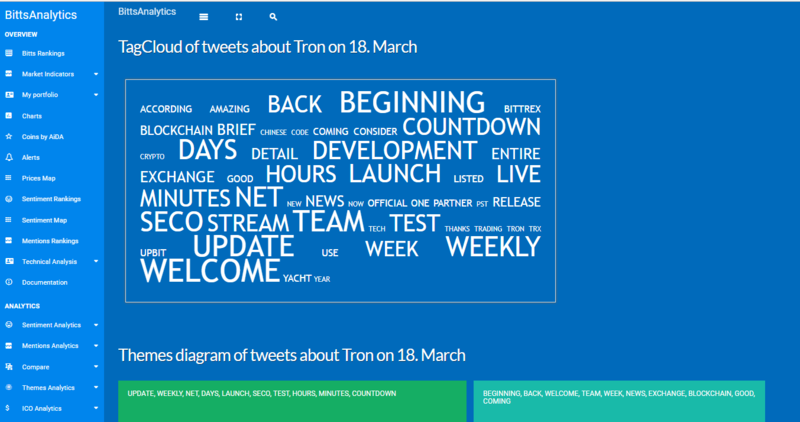 Below is hourly sentiment of tweets mentioning Tron over the last period. We often look for any surges in tweets mentions because buzz is often ahead of price. 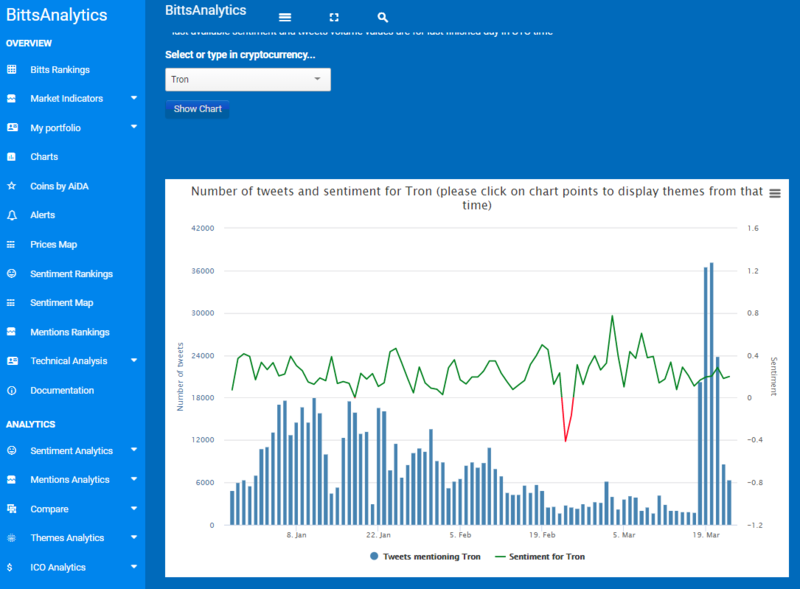 As you can see in the chart below, the tweets mentions surged on 18 March 7 am UTC time when the price was around 0.265 USD and so has the sentiment associated with the tweets. As we have already posted in other such cases in the past this means a major bullish signal and Tron has indeed rallied since then for a gain of 85% in just one week. 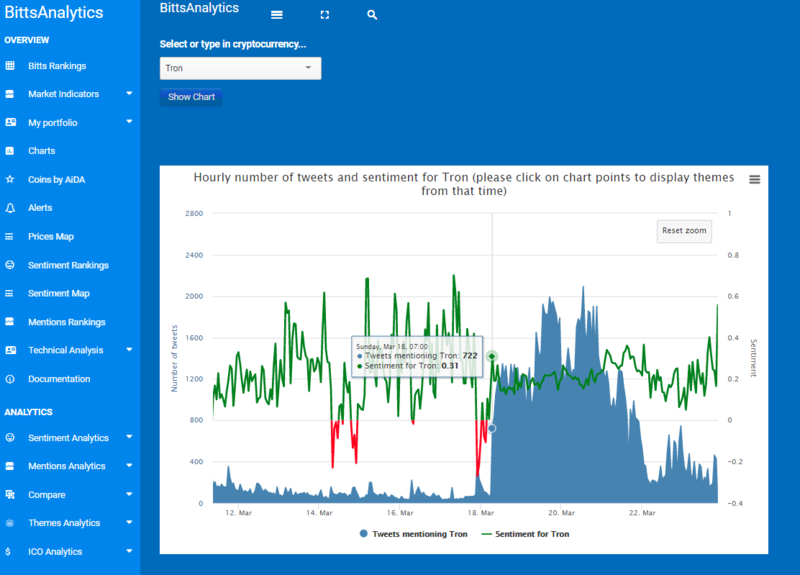 Tweets mentions is also like sentiment often ahead of the price and you can start using sentiment and tweets mentions data like this to improve your cryptocurrency trading by subscribing to our platform www.bittsanalytics.com.